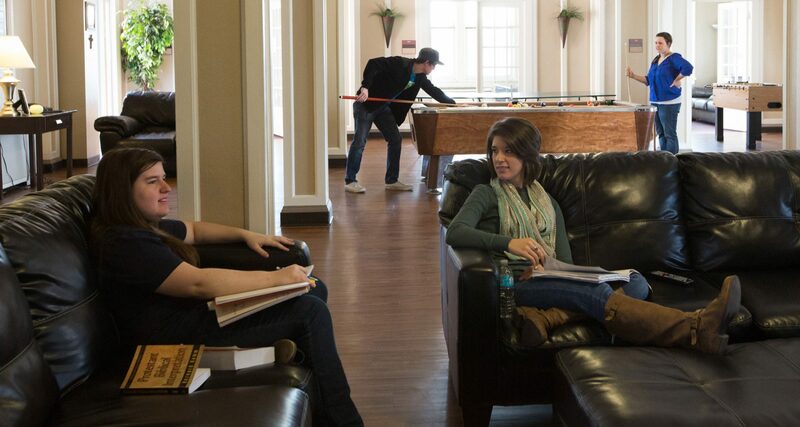 The RA serves one of the most comprehensive roles in the Student Life division. No student problem escapes the RA’s involvement. This is one of the most difficult student positions to hold and to perform well. To be called to do so many tasks, to hold so many responsibilities, and to be accountable for so many other people during the time you are shaping your own education is one of the greatest challenges you will face during your life here at UMHB. The staff of the Residence Life Office is glad to know that you are interested in a position as a Resident Assistant. The RA position is a very important part of the Residence Life Staff. As an RA, you will have an opportunity to positively affect the lives of others. The Residence Life Staff is made up of the Resident Directors (RD’s) and current Resident Assistants (RA’s). The people in these positions share a common bond of caring and respect for each other and for each resident. We are looking for people who are interested in sharing their leadership, spirit and enthusiasm for their school and their time with others. RA’s act as supervisors of their floor/wing or apartment unit and, as such, gain valuable experience in organization, leadership, supervisory methods, and peer counseling in the area of conflict resolution. This experience may benefit you later in life and should certainly be added to your resume. All of these are valuable tools to develop regardless of your later role in life. If you have any questions about this application or about the position, please feel free to discuss them with any member of the Residence Life Staff.